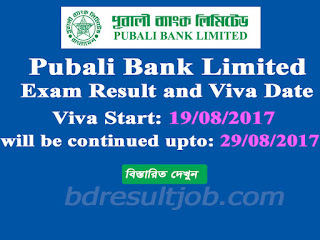 Pubali Bank Limited exam result and viva date has been published at https://www.pubalibangla.com/career.asp. 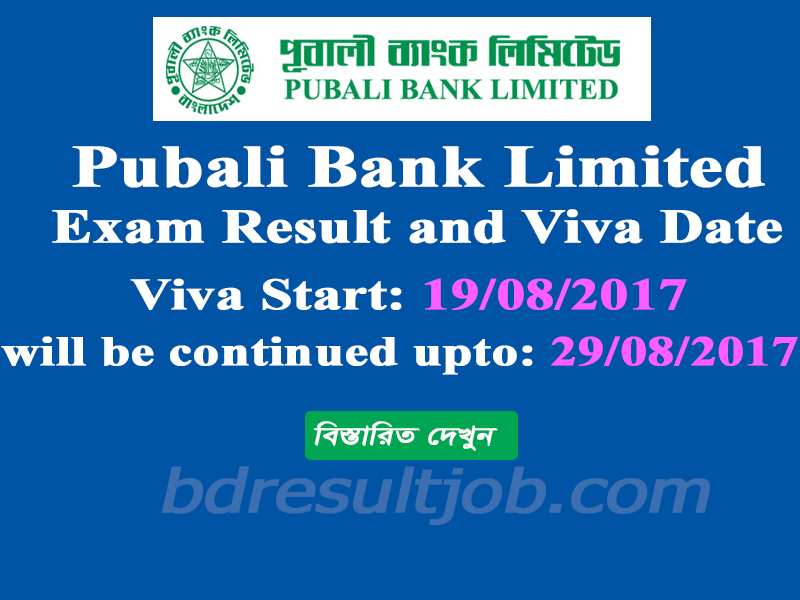 Pubali Bank Linited viva date start on 19 August 2017 to will be continued upto 29 August 2017. Bellow you have to see the details about this result and viva date. 1. List of candidates for the post of Trainee Assistant Teller-2017 whose candidature will stand cancelled due to not fulfilling the criteria as per Advertisement and under Dependent policy of the Bank. 2. List of dependent candidates for the post of Trainee Assistant Teller selected for Viva-Voce. 7. List of candidates selected for Viva-Voce for the post of Senior Officer-2017. Tags: pubali bank trainee assistant teller, pubali bank result, pubali bank trainee assistant teller result, pubali bank job circular 2017, pubali bank result 2017, pubali bank circular 2017, pubali bank login, pubali bank online job application form, pubali bank admit card, pubali bank job circular 2017, pubali bank admit card 2017, pubali bank result, pubali bank circular 2017, pubali bank trainee assistant teller, pubali bank result 2017, pubali bank junior officer job circular.